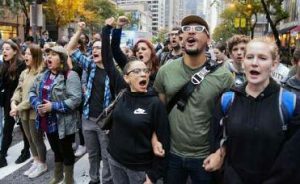 October 5 – Anti-racist masses shut down Michigan Avenue in Chicago to celebrate the conviction of white cop Jason van Dyke for murdering Laquan McDonald, a black teenager. Close to 1200 US cops kill people every year. Before van Dyke’s conviction, only six had been convicted since 2005—and four of those verdicts were overturned. Liberal politicians and activists want us to believe that this is a “step in the right direction,” as one put it. Many of us would like to believe it. “I hope this will send a message to other cops who shoot before they think,” said Thad, who is a bus operator for MTA in Los Angeles (USA). “You are totally right about that,” Thad replied. In communism, there will be no tiny class of super-rich exploiters who need racist attack dogs to terrorize the masses. There will be no police to function as an occupying army in our communities. We workers won’t need to rise up against the system because WE will be running the communist system. 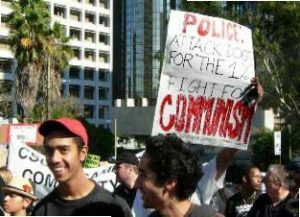 Reform victories – like van Dyke’s conviction – don’t take us even a small step forward on the road to communist revolution. 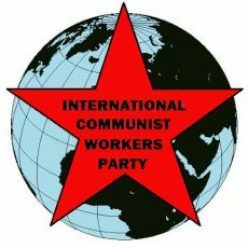 The small steps forward are the ones and twos who start circulating Red Flag and joining the International Communist Workers’ Party.